making it fun: MMF Glitz Blitz: Jess Abbott the Sewing Rabbit! 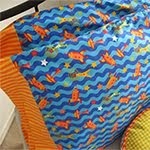 Hello Michael Miller Fabric lovers! My name is Jess Abbott the Sewing Rabbit, and I am honored to be here today. Is there really anything else that needs to be said? Lol. When I first saw a swatch of this fabric, I nearly ripped it out of the Michael Miller Fabric rep’s hands. Everything about this fabric is perfection. To be asked to create something with this fabulous material? Well, that is just the icing on the cake. When working with geometric prints in apparel, I like to break them up somehow. Which is why I chose to sew ‘Look No. 6’ from the Five and Ten Designs Volume One eBook. The piping design within the bodice was ideally suited to work with the fabric, and really make the dress pop. 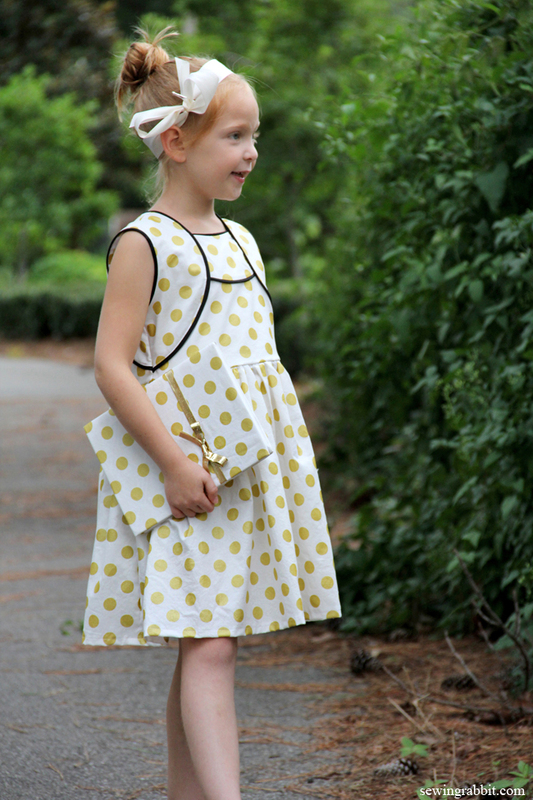 With white and black being on trend, the gold metallic polka dots make this the perfect kids party dress! Naturally, every little girl loves her accessories, and this fabric covered notebook is just the ticket. An easy DIY project for showcasing your latest fabric obsession, while bringing your journals to life. All in under 5 minutes, with no sewing involved. 1. Measure around the notebook, from the front to the back cover, and cut around. Be sure to add extra fabric around the sides to be able to fold over the front and back cover later. At least 1” all around is recommended. 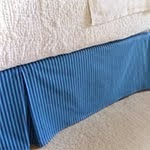 If you are using a light colored fabric, you may want to double up, and add a ‘lining’ fabric. 2. 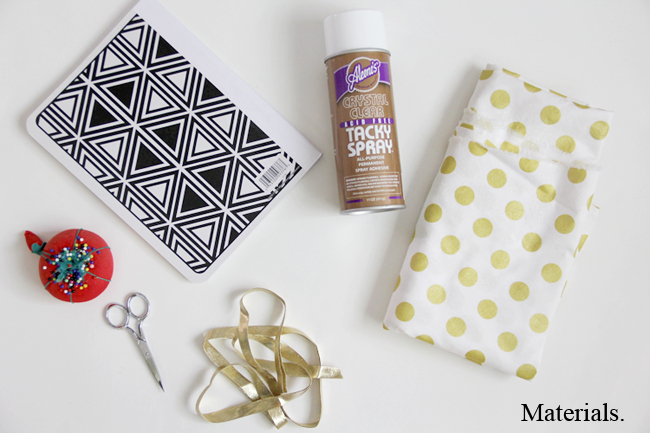 On the wrong side of fabric (the fabric that will go against the notebook), spray the fabric adhesive. 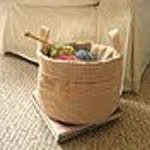 Do this in a well ventilated area, as the fumes can be strong. 3. 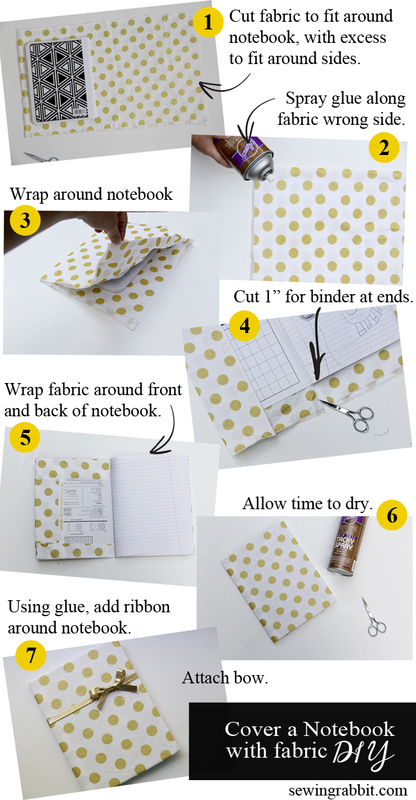 Immediately after spraying, wrap the fabric around the notebook. Be sure to smooth out any bubbles that may appear in between the fabric and the notebook. 4. Using your scissors, clip the excess edge at the notebook’s binder, removing about 1” of the fabric. 5. Fold down the top and bottom edges of the fabric to the inside cover of the notebook. Repeat for the outer edge. 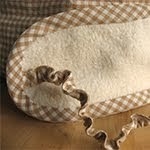 Add extra glue if necessary, and secure with a sewing pin to ensure a firm hold while drying. Repeat for back cover. 6. Allow the notebook to dry. 7. Attach ribbon by wrapping around from the front to the back, and tucking inside the notebook’s cover. Secure with glue. 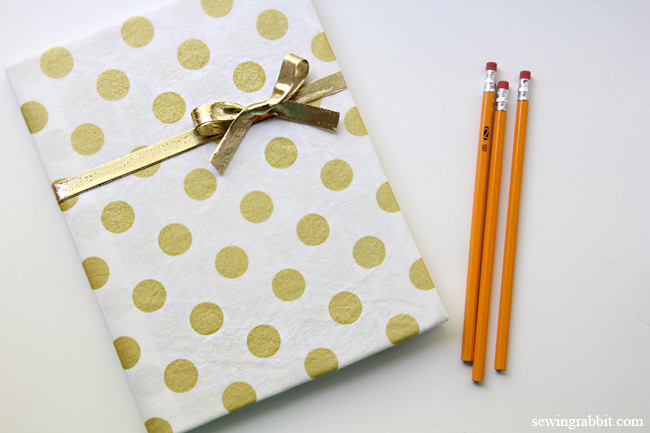 Make a bow with your ribbon, and glue to the front of the notebook. Press down gently to secure, allow glue to dry. And there you have it, a fabulous recovered notebook! Utilizing your fabric scraps, and making the perfect accompaniment for your handmade outfit in one fell swoop. To see more of the dress featured above and the rest of the Five and Ten Designs, Volume One collection, click here. Thanks again so much for having me here, I absolutely adore Michael Miller Fabrics. In honor of our first Glitz Blitz post, we're giving away two bundles of our fabulous metallics! We'd love to hear what you'll create with it! Thanks to everyone who participated-- and stay tuned for more glitz and another giveaway! "Definitely summer dress for my tiny toddler!" "This fabric looks so fun! I think it would be great for holiday dresses and skirts." i love the dress and notebook cover!!!!!!!!!! 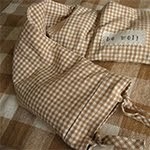 Great tutorial and awesome fabric! Very cute dress and love the fabric. I think I'd have to make myself an awesome bag or purse with some of it. Love Jess' dress and tutorial! Definitely summer dress for my tiny toddler! I envision; skirts for my daughters, new pillows in the bedroom, a new look for my fabric covered inspiration board! I love, love, love this collection! Ohhhh I would LOVE this is my girls new bedrooms! It has been sitting boring and lame waiting for me to find some fabric inspiration. Taddah! I envision new skirts or dresses for my daughters, cute book bags, new pillows for the bedroom...I could keep going! My girl and I would both love some of this in our wardrobes! it would have to be something amazing....this stuff is gorgeous! can I have a little time to think this over? I've got three girls, and we love our glitz, so definitely something wearable for each of them! Love this! Love the fabric! 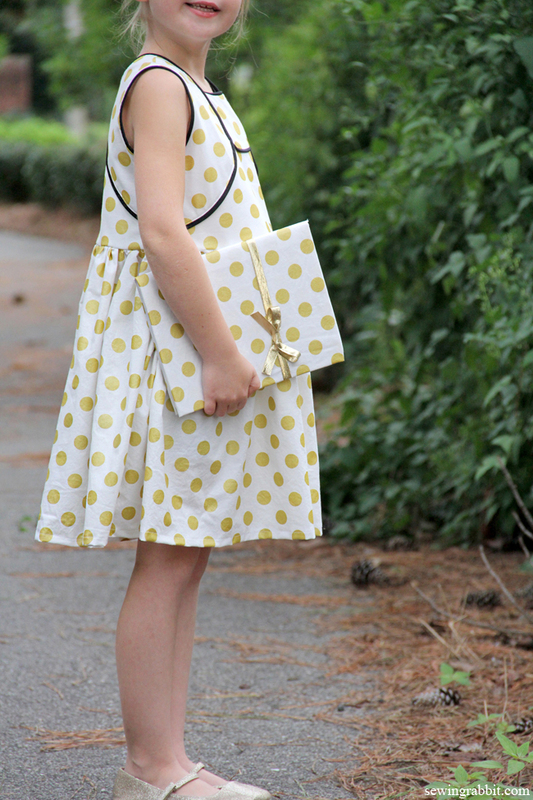 Cute dress, notebook, and little girl. Beautiful fabric, beautiful dress Thanks for the giveaway. That dress is amazing but really I am totally IN LOVE with the whole metallic collection. If it's pink and/or shiny, my 4 year old LOVES it, so I'd definitely make something for her. That dress is perfect! I'd make a twirly skirt for my daughter. I love this! I would definitely make something special for myself! so pretty! I'm not sure what I'd make, but I'd love to add some to my stash! Would love to make a dress like this for my granddaughter! Also I think it would be cute as a ruffled pants for her! Thanks for this great website! 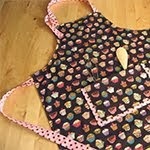 aprons, a quilt, pillows, a smock...lovely fabric! That is exactly the fabric I have been looking for, for a long time. I would definitely make a dress for my daughter who loves all things glittery. Love love love the metallics. i would make a little ditty bag for all the little items floating around in my purse! Adorable dress and notebook. Love your beautiful model! All that bling needs to be something for a special occasion. Maybe some hostess wine bags or new year napkins. Way to go!!! LOVE Michael Miller fabrics and LOVE your adorable dress-journal combo. GOLDEN!!! I would make a ruffle skirt for my daughter. My 4yr old son saw the green metallic and has made me promise to make him a shirt out of it :D - how gorgeous are those prints! Lovely! love the black piping! I would have to give it some serious thought. That bit of glitter would go a long way toward lightening up the grey winter days, so I would want it to be something very visible. A set of cushions for a long bench would look nice and increase the comfort level of the bench. Thanks for the chance to win. I would love to make a skirt an matching bow for my grandaughter! Beautiful fabric! A blouse for me and something for my daughter (a skirt maybe, definitely with a purse). Fabulous post Jess! 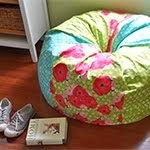 I think I'd make my girls skirts... Or maybe some pillowcases for our sofa pillows! I love the fabric! I would make skirts for my sisters. This will make great table dressing for a party. I can't wait to make table runners and centerpieces from this! Love the dress and I"m crazy about that fabric! I think I'd use it for everything. Fun idea to cover a notebook. I am in LOVE with this fabric...mint and gold? Love the dress!! I'd probably use it for bags and accents in clothing for my daughter. What an adorable dress!! Love. Love. Love!! I'd have to make a shirt or dress for my daughter who loves all things sparkly. I'd love to make some glam pillows with this great fabric. Thanks! LOVE the metallic pastels, especially the aqua! I think I'd use them to make cute, little bags! I would use that fabric to make clothes and accessories for my granddaughter! I love the new metalics. So much better than the old "hard" spots of super threads. Would look great in an embroidery project. Possibilities are endless, a cute quilted tote bag, definitely some covered journals for my daughter. This is cute my girls would wear it! 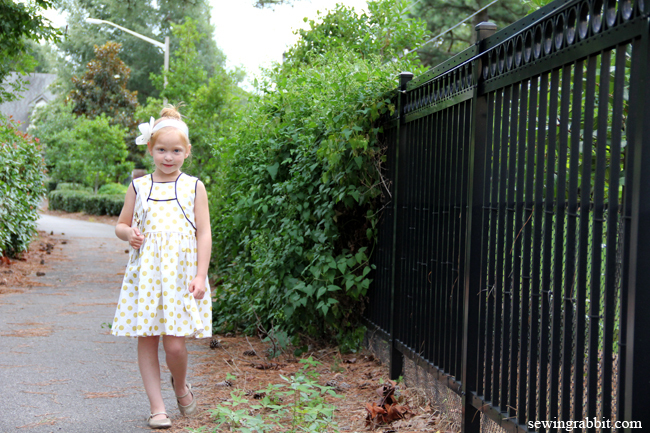 Oooooh love that little dress and the fabric line! Can't decide which I like more the peachy pink or aqua! Thanks! I would use the metallic fabric to create an awesome quilt! I would have to make a purse and matching makeup bag. Love the dress, love the notebook, and love the fabric!! Beautiful! this has my girls name written all over it! I'd make her a bag to carry around her treasures she has to take everywhere! Such a sweet pattern. 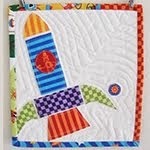 I could see using the fq bundle to make a cute little baby quilt. This fabric would be perfect for a new bag. I can envision a lovely strip work dress for my 10yo granddaughter -- she would LOVE it. The fat quarters would look awesome in a purse. Love the metallic dots! Hi ! Nice job ! I love the fabric ! I could probably use it to do little purses, or pouches... Love it ! 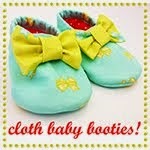 I would love to make a few skirts for my little one, if I were to win this beautiful fabric! The notebook makes me want to make a clutch for mom! A dress for my daughter with a matching dress for her doll. A matching skirt and infinity scarf for myself. 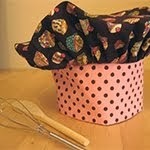 Love this fabric and the tutorial! 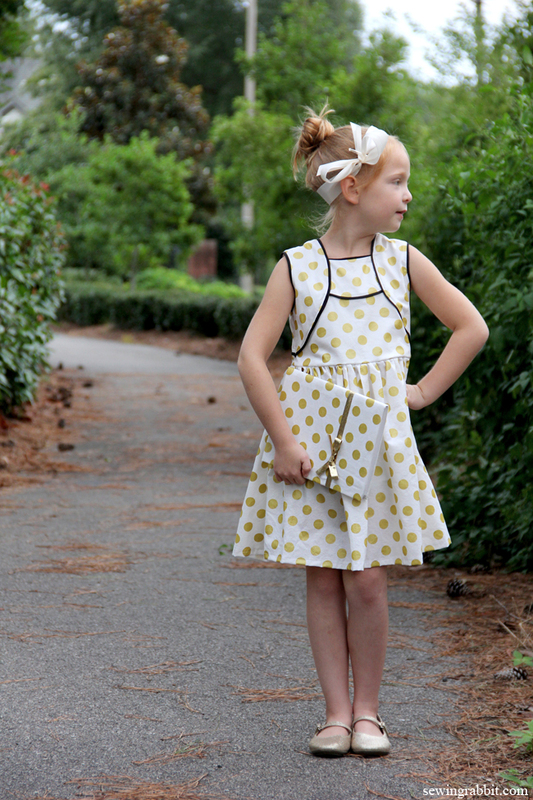 I would love to make Easter dresses for my girls with this awesome collection! I would make a fabulous handbag with these! Oh, the beautiful things I could make with this gorgeous fabric! Ohhh just seen a very interesting reversible ladies dress pattern and in these fabrics it would be fabulous I imagine. fabulous! the dress with matching notebook is just too cute. Would love to win this fabric. Thanks for the chance. I think I would have to make something for my granddaughter, Ava, who turns 8 next month! She's my favorite little diva!! I still have Christmas on the brain. I love non-traditional colors for decorations. These fabrics would make awesome Christmas stockings and a matching tree skirt!! I would love to make something from this fabric for my granddaughter, Ava, who turns 8 next month! She is my favorite little diva!! I think I would make a purse for a friend or decorations for Christmas. I love this fabric. Love the fabric! Great giveaway. I'd make a cool bag. I'd make a jewelry pouch. 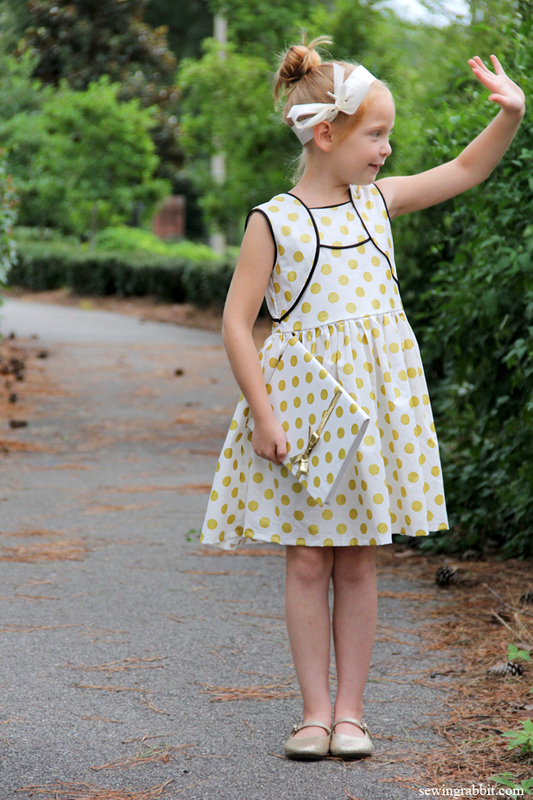 I love the gold polka dots! I am going to use it in my grand baby's nursery.... Due in August! 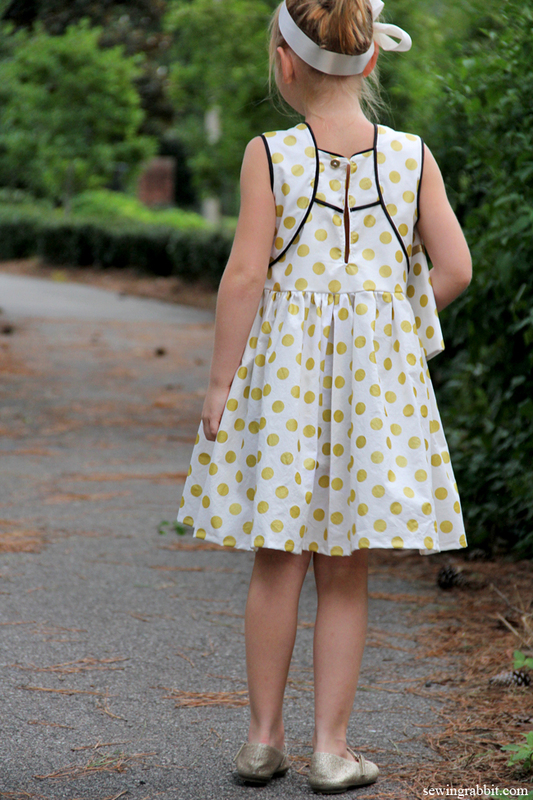 that is a darling dress and fabric...hope I can win some fabric to get to a sewing project.. I would love this fabric! I would make matching outfits for my grand daughter, these are so cute! My wife would love this fabric for our daughter. Some of it would find it's way into a quilt for my daughter, but I would also like to use some for a bag for me. My 8 year old granddaughter loves anything metallic, so we'd go through some patterns and find something for her. I'd love to use it to make some awesome bags! I'd start by making the notebook cover!! I have a 7 yr old grand-daughter so the possibilities are endless! I have no idea what I would do. I think a table runner would be cool. I do love the dress though for my daughter. Definitely summer dresses for my daughter! 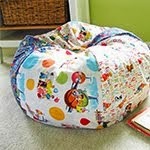 My daughter would love this done up in a bag/purse, the scraps would go into a mini quilt!! <3 Thank you for the chance to win. I am all about the glitz and to have it to incorporate into a quilt is a dream come true! Adorable! My favorite thing to sew is children's clothing, so I'm sure I could find some great uses for this fabric! 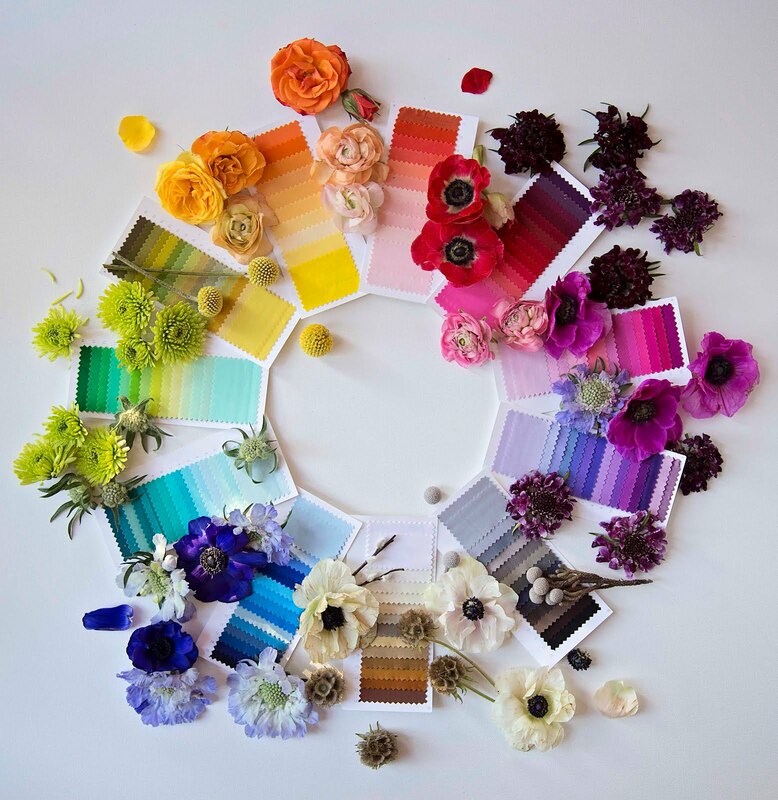 I have been in love with Michael Miller fabrics since I first saw the Love to Sew collection! And these are wonderful. I want to remake the blinds for my sewing room out of this, and recover the pillows on the loveseat, and a couple floor pillows. I'm also thinking of some coordinating wall art, to tie it all together. Would really bring sunshine into my room!! How fun!!! Absolutely love the glittery, sparkly stuff for my daughter. From quilts to journals and especially pillows. Thanks for the opportunity. 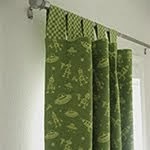 Can think of so many craft ideas to use this fabric for. I would make a beautiful quilt! I would love to make a Kindle cover with this beautiful fabric. I think I would have to make some fun pillows for my living room and a shirt for my little girl. I'm not sure but probably a panel skirt for myself or a dress for my youngest girl. I would love to have some of this! I would make a tote bag or pillow! I would definitely use this fabric to make one of my Swoon purse patterns! I've been holding out for some super awesome fabric!!! I'd make a dress for my 4 yr old granddaughter... she loves pretty dresses. Then maybe slip in a little jacket for myself.. FUN. This fabric is awesome! Thanks for the opportunity to win it! The notebook looks like a fantastic beginner (me) project! Dresses and more dresses, oh my! That mint and gold, come on! It's too cute!!! Oh, what fun! Definitely destined to be a dress for my super-exuberant daughter. And a matching bow-tie for my son! The notebooks look ace! I'd make some oversized hair bows hehe! Some cute tote bags and accessories! Love the DIY. I think the fabric would be great to make a small tote or even a nice skirt. Love the model also, she is so cute. Loved this dress! And the piping makes it cuter... The little model is sweet also! Thank you for sharing..I would make something for my granddaughter! Oh I love sparkly things. I'd make myself a lovely maxi skirt ( do they even call them that anymore?) thanks for the chance to win! Love, love, love!! Definitely a journal cover for me, an iPad cover for my girly daughter-in-law, and a cute peplum top for my granddaughter. I love this fabric. I would like to make a tablet cover and/or a purse/bag. I would use it in a quilt! Gorgeous! I see a skirt for my older daughter and a matching dress for the baby! I would make Easter outfits for my kids, and I would use it in a quilt. I love this fabric! I'd definitely have to make notebooks for both of my kids and then maybe a clutch purse for me! I would make a fun dress for my 6 year old!! What a fun DIY! And that dress is just gorgeous! Pretty! Baby quilt might be fab! I LOVE this! Beautiful dress and beautiful fabric! I would LOVE to make something from this line of fabric! Love this fabric! My girl would love this book cover as an accessory! I would use it in quilts. 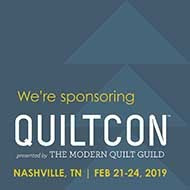 A new element to quilts. I would make a baby quilt - the metallic gives it an extra flair! Thanks for the give away! beautiful fabric. I might make a purse/bag with it? Something for my girls for sure... This is fantastic fabric! Beautiful! I might try to create a shirt or skirt for my 18-month old girly girl. Thanks for the opportunity! love this dress! Love the fabric! I would make myself a fun little glam bag. Really pretty fabric! Love that fabric! I would make some make up bags for Mother's Day gifts! I'd love to make Easter dresses for my girls. Thank you! 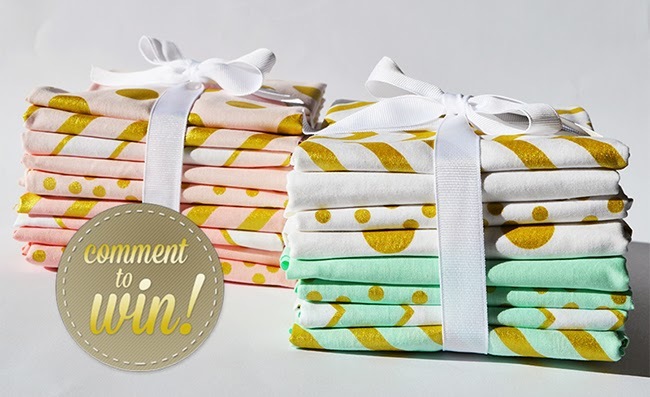 I think it would make some really cute cushion covers,thanks for the chance to win! I'd love to make some dresses or tops for my girls! This fabric looks so fun! I think it would be great for holiday dresses and skirts. Gorgeous! This would look amazing as a washi dress. Oh, this is lovely! I'm not sure what I'd create with it. Maybe some accent pillows? I love,love this fabric, I purchased some for Christmas and it is beautiful! Wonderful dress! My daughter would love a backpack from this fabric! Love this fabric! I would use it to make pillows. These fabrics are like Midas and Katy Perry designed a line; I love all the blinged out sherbety goodness. Love this fabric! I would make pillows. What a cute fabric! I'd make a skirt for the lurking spring and summer seasons. I have two little girls who would love new skirts, or this would be the perfect accent in their bedrooms! I would love to win this beautiful fabric. I love making bags and I think that is what I would do with this if I won. Love Michael Miller fabric! Great fabric! The little dress is so cute! I would make a tote with a matching notebook. 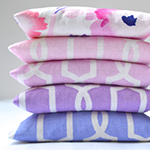 These fabrics are beautiful! I would love to make pillows and totes from them. Gorgeous fabrics! I love anything by Michael Miller. I would make some handy, cute tote bags with this fabric and then embellish them with monograms on my embroidery machine. 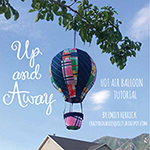 This would make a great summer journal for the kids. I would use some of the fabric to make an infinity scarf, for myself! I love the pattern of choice with this fabric. I love the metallic look, my friend who is expecting just requested baby clothes that were sparkly/metallic and this is perfect! My girlie girl granddaughter would love to have matching anything! Maybe even cover some shoes with the same fabric. How adorable! Love the dots but SPARKLY DOTS???.?. Just amazing, I would love to make lots of sparkly dot bags with this fabric! LOVE LOVE LOVE THE FABRIC!!! I can't find lovely fabrics anywhere on this island! Adorable. Love the black piping. Beautiful! I would make a handbag and lots of clothes for my little girl! I think a purse and wallet would be great! 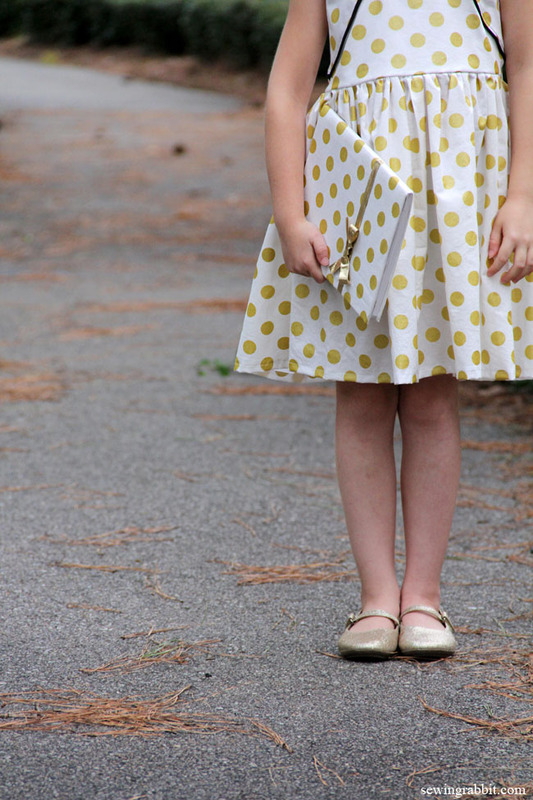 I have some dress loving little girls who would love a glittering, shiny, dress or skirt. Thank you! I was just trying to look up how to cover my new composition notebook journal! I love fabric, so this is perfect! Those fabrics are absolutely dreamy. I would have to make something for each of my girls! Probably a skirt and a dress. So cute! Dresses for my nieces, with little matching bags. They are both so fantastic, I am drooling over that fabric!!! That fabric is beautiful! Sadly I do not have daughters, but I do have nieces that would love a skirt or dress made with this!